Kronoberg region in southern Sweden has a long and strong storytelling tradition. In the late 1980’s a number of librarians and teachers in the region realized that the total loss of the tradition of storytelling was imminent. They – some of them experienced storytellers – first engaged in small-scale activities before they organized a festival (May 1990, Ljungby) in which practitioners, enthusiasts and experts from various places in Sweden participated. This was the start of the Land-Of-Legends (Sagobygden) based in the municipalities of Ljungby, Alvesta and Älmhult, a safeguarding programme and practice that ever since have grown. Preserve the value of storytelling for the well-being of the population at large. Storytelling to children. Photo: Berättarnätet Kronoberg. The association Berättarnätet Kronoberg (the Storytelling Network of Kronoberg), has been developing, testing, implementing and supervising a growing range of activities that have succeeded in raising the visibility of storytelling, in revitalizing its practice and in applying it in traditional and new venues. Sagomuseet (the Museum of Legends) is situated in the South of Sweden. Photo: Berättarnätet Kronoberg. From 1990 on, Ljungby Berättarfestival (the Ljungby Storytelling Festival) has been organized every summer, attended by storytellers, academic experts and story-lovers from the Kronoberg region, elsewhere in Sweden (including story-tellers from minority communities) and, increasingly, the Nordic Region. They come to perform and listen, to follow or give seminars and lectures about storytelling and safeguarding approaches, or workshops for training new storytellers. The Festival is an important forum for sharing approaches in renewing storytelling traditions. Some 80 legendary places linked to specific stories are documented and marked in Sagobygden, 40 of them by wooden story cabinets. The story cabinets. Photo: Berättarnätet Kronoberg. You may find them by using a special map or geocaching; you can open them and read local legends or listen to them using dedicated apps. Storytelling is regularly practiced around the cabinets, often accompanied by traditional Music. 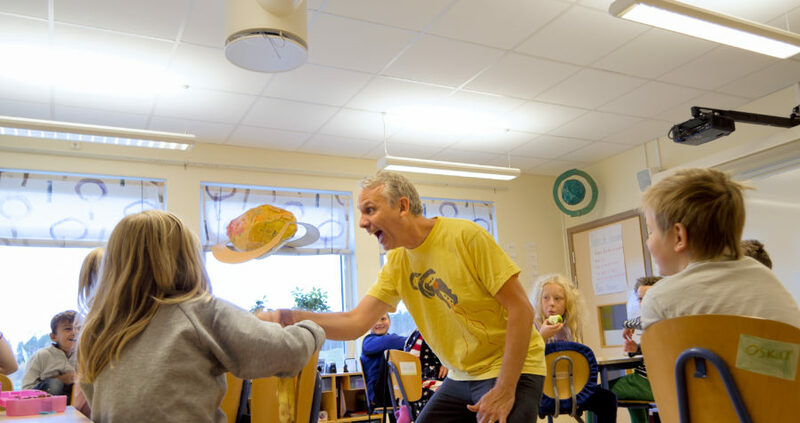 All year long storytelling activities are organized throughout Sagobygden, in cafés, in schools and at business events, to reinforce the place of storytelling in local society and for Entertainment. Storytelling camps for teenagers are organized. The activities are aimed at raising awareness about storytelling, and at transmitting the art. Usually schools and universities invite and pay for staff. The Association contributes to academic courses for future teachers who intend to use storytelling in their primary and secondary school teaching. The Association has developed methods and textbooks for storytellers and staff of nursing homes for assisting people affected by dementia. Similarly, methods were tested and materials created for working, in their own environment, with mentally challenged people. In 2005, when a devastating storm hit southern Sweden, in particular Sagobygden, the forest fell and many lives changed radically. The Association launched an appeal: “Talk, write, and paint about the storm”. The many responses resulted in a publication, a CD, radio programmes and storytelling performances. The festival is a mixture of other ICH manifestations (music), seminars and workshops. A combination of local storytellers and international guests enrich the event. Volunteers play a crucial role. They represent different kind of groups, thus enriching the diversity of the activities. Steady support among the local population and authorities in three contiguous municipalities of the Kronoberg region: Ljungby, Älmhult and Alvesta, which have become known under the name Sagobygden. Everyone, no matter if you are a local resident or the major, you should feel involved in Sagobygden. A close collaboration with teachers and schools is of great importance. We have teachers, pupils, sometimes researchers, doing evaluations. Our goal is to help the schools in there ordinary work. We pay extra attention to the school curriculum, so it fits together. We offer educational programs from 8 months up to university courses. The museum opened in 1999 and was soon to become the centre of Sagobygden. It is today a popular place for tourists, visiting groups, for school children, for different kind of storytelling events and activites but also “a home” for many storytellers, to meet and exchange experiences and of course for the staff with its offices. 6. Running the legendary places in the landscape. Local legends are highlighted especially in the landscape. These places are always open, to anyone, no admission fee, they can be read and listened to anytime of the day. We experience they are highly appriciated and locals are proud of living next to a legendary place. The stories are inside the storyteller. We travel a lot to share stories both national and international. When working with intangible cultural heritage, it is easy to move around and work elsewhere. a) Intergrating projects, using stories to connect diversities of people, to highlight that we often share the same stories/ICH. Berättarnätet Kronoberg (The Storytelling Network of Kronoberg) is an association/NGO that was formed in 1990 with the aim of encouraging storytelling and highlighting the treasure of legends from the area of Kronoberg, South Sweden. 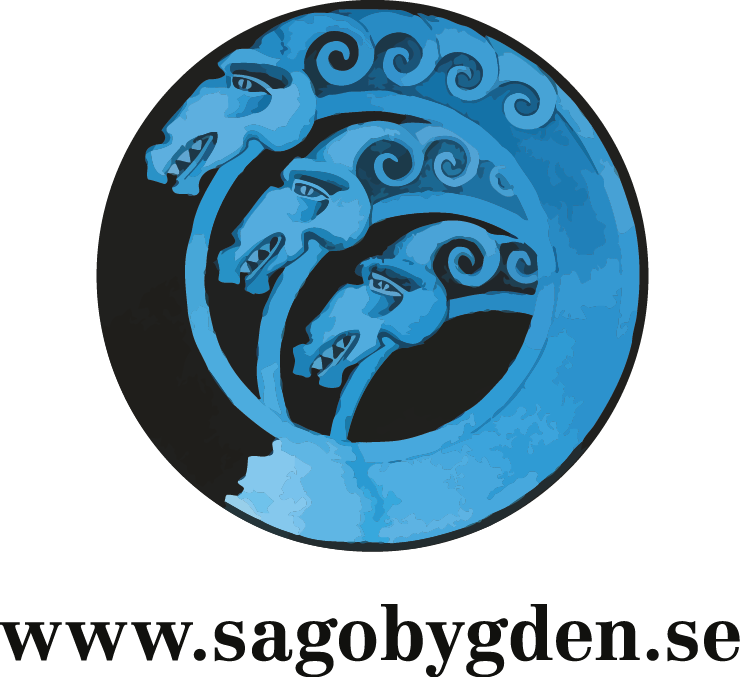 The association runs the safeguarding practice the Land-Of-Legends (Sagobygden) based in the municipalities of Ljungby, Alvesta and Älmhult. Since 2014 Berättarnätet Kronoberg is accredited to provide advisory services to UNESCO's Intergovernmental Committee for the Safeguarding of the Intangible Cultural Heritage.